By KNS Infrastructure Pvt Ltd.
How Far is Ozone KNS Oasis? Located Off Sarjapur Road in Bangalore, KNS Oasis offers premium BMRDA approved residential plots of varying sizes with world-class facilities. Spanning 45 acres, the project offers Plots for sale in Sarjapur Road Bangalore with varying dimensions, the size of Plots varies from 1200 Sq ft to 4000 Sq ft. This Project is Located in one of the most sought-after locations in Bangalore that is Sarjapur Road with all the facilities a person needed to buy the home, this place can be accessible by different modes of transportations, the international Airport is just 1.5 Hr journey from this place, it has HSR Layout, Carmelaram, Bellanduru, Koramangala, BTM layout in the neighborhood. Near to Bangalore's bustling IT corridor, close to IT giant Wipro and upcoming RGA tech park and proposed Infosys HQ. Amenities include children’s play area, senior citizen’s area, jogging track, clubhouse, swimming pool, gym, indoor games room, library, cricket pitch, tennis and badminton court, basketball and volleyball court, skating rink and Amphitheatre. Many SEZ s are close by, ITPL Whitefield, Electronic City, Sarjapur/ORR IT corridor, are more or less equidistant. International schools like TISB, Indus International, Oakridge International, Green Wood High and Inventure Academy etc are in close proximity. The city's other landmarks too are easily accessible like Koramangala, HSR and BTM layout. The best thing about Oasis is that you are close to where all you need be, and in a different, serene world of your own. A lush green eco Habitat; 20 acres of which is open land along with wide roads and side walk pathways. Clear titles and ready for construction. The City's other landmarks are easily accessible like Kormangala, HSR, Electronic City and BTM layout etc. Ozone KNS Oasis located on Off Sarjapur road which is in-between electronic city and whitefield, is the most preferred residential layout for IT employees. Ozone KNS Oasis is also in proximity to the key developed markets of Koramangala, HSR Layout, Marathahalli, Hoodi and Whitefield, among other major locations. Sarjapur's connectivity to IT clusters located along the ORR, Whitefield and Electronics City has turned it into a sought-after destination for residential developments. This micro-market has recently witnessed a surge in commercial activity (office space leasing) with a large tech park under construction and smaller standalone projects meeting spill over demand from the ORR. 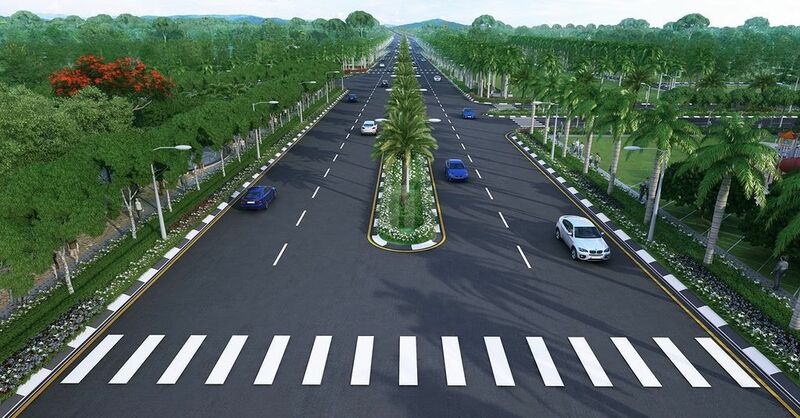 Wipro campus will come up on a 50-acre plot that is 4kms away from its existing 1.9 million sq ft campus in Sarjapur. Just 30minutes’ drive to electronic city and whitefield. Pavements with ample pedestrian space carefully crafted using high quality pavers. Trees across the township to ensure green cover. Sewage treatment plant and Over head tank. About KNS Infrastructure Pvt Ltd.
KNS Infrastructure is a market leader in plotted layout development. KNS Infrastructure is renowned for its Quality and Trust. KNS Infrastructure has developed over 1500+ BDA approved plots and 4000+ BMRDA approved plots over a decade. over the last decade, KNS infrastructure has developed over 7.2 million sqft of plotted area development and is in the process of delivering 3 million sqft in the near future. another 5 million sqft are at various stages of completion.